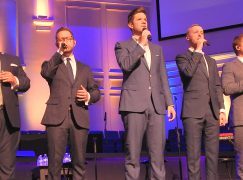 The Mattingly Family – I was particularly interested to see this group since the Blackwood Brothers’ new lead singer, Jonathan Mattingly, is from this famly!! They are singing now as a mixed trio. Cami Shrock – This young lady is a soloist. She had a very nice stage presence and I enjoyed both of her songs. 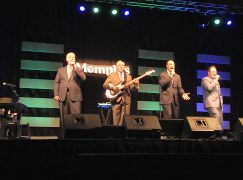 Bless’d Ministries – This was a mixed quartet and I couldn’t tell if they were married couples or not. This year, it seems like the groups must’ve been told they didn’t need to introduce their members, because most of them didn’t! The Journeys – Donna Journey is a soloist with her son Ben playing the guitar on one song and the piano on the second. Donna’s ministry is to share testimonies about raising an autistic child. Westward Road – This group consists of a husband, wife, and their son. I thought they had a nice, smooth sound. The Sound -This trio with a father and two songs sang their song Good News, which has been #36 on SN charts I thought this group had a really good chance of winning the showcase. I enjoyed them very much. Reliance – This male trio came all the way from California and were very good! 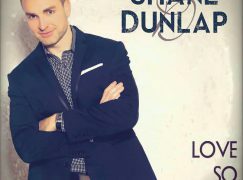 I absolutely loved this song, which was written by Shane Roark. Matchless Grace – I had seen this group before in a showcase a few years ago They are a mixed trio including a husband and wife and another lady. The Sons Family – This family group consists of Gayle Sons, her son Greg, and his wife Kim and their daughter Hannah. Kent Curtis Family – This group consists of Ken, his wife, and their son and daughter. Ken is the pastor of Open Bible Assembly Church in McEwen, TN. 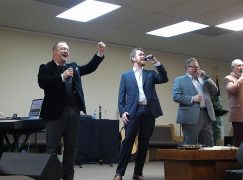 The Millers – Their website shows them as a quartet, but they sang as a trio during this showcase. They were very enjoyable! 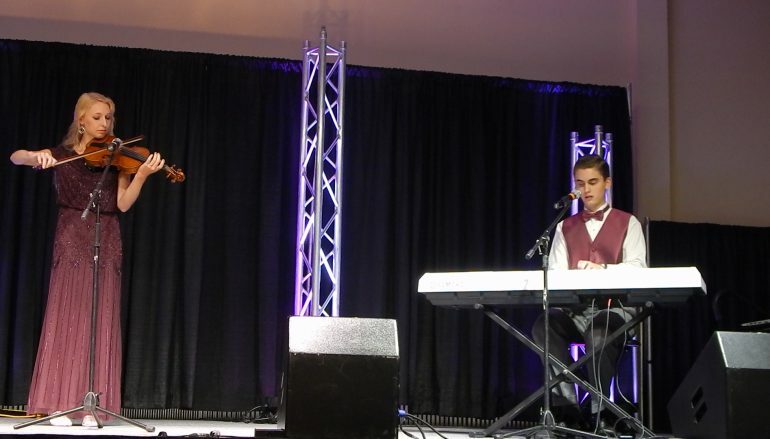 The Woodsmen Quartet -This was a talented male quartet that I also thought had a very good chance to win the showcase.